Make your own wreath from nature with Sunset's really easy tutorial. Turn a coffee table into an ottoman. The picture is from A Penny Saved and the tutorial explains it all. This would be great to try with a garge sell/ craigslist find. 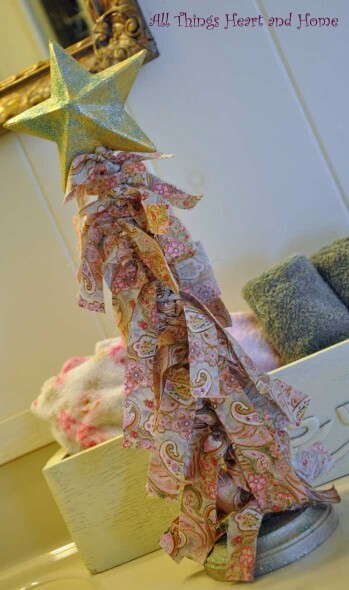 From All Things Heart and Home a Fabric Christmas Tree. 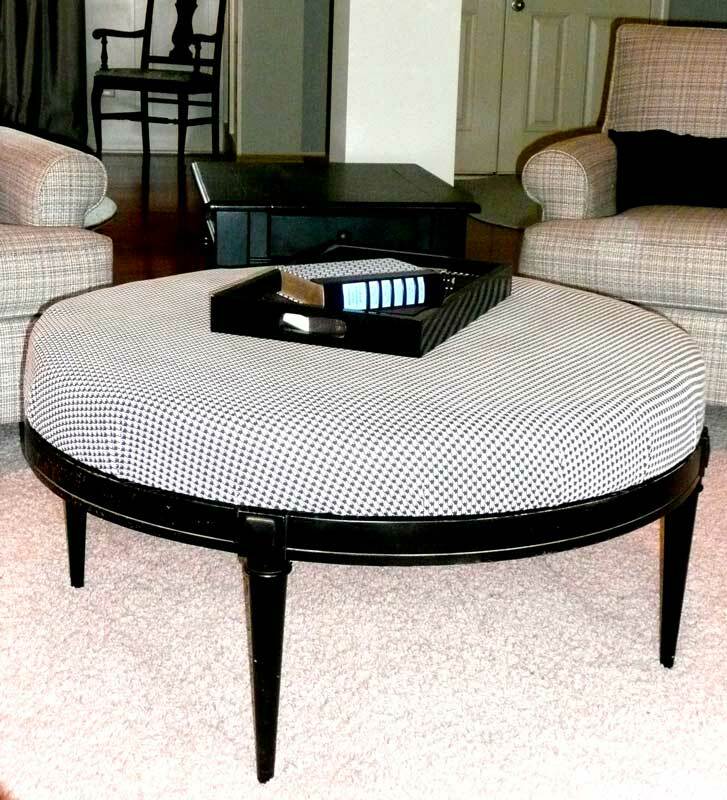 I love it and this is one of those projects you can do while sitting on the couch watching T.V. I love her fabric!